My story is nothing special. I live in small, Southern town with my family. Disabled with arthritis, I struggle to write on my computer, but God gives me the strength. Who am I? What are my dreams and how does this relate to my story? Wife, mother, daughter, sister, and friend. Former educator, newspaper and radio reporter, and book editor. I have worn so many titles; my story obscured. I can only try to capture memories and share them as stories, hoping they will bless. My mother had brain surgery last month; and I decided to cast my fears on Him. Now I am praying her story will continue with blessings and happiness. My mother barely, five feet five, makes up for her small stature with a big heart and common sense that astounds me. She is an artist who makes finery with her hands. She really lived Proverbs 31 her whole life; working from dawn to night to make a better life for my siblings and me. My story began because of my mother almost 52 years ago. 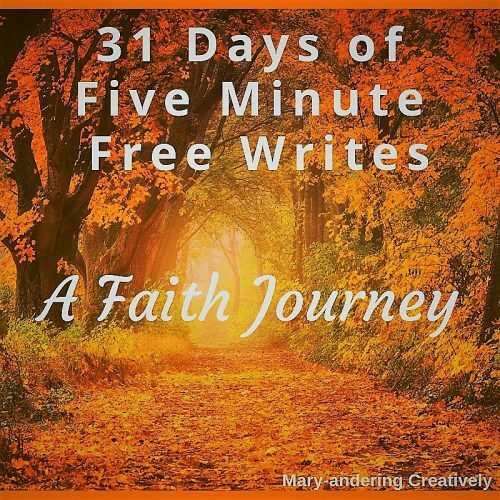 Join me for 31 Days of Five Minute Free Writes : A Faith Journey. Be sure to check out the rest of her great tips. Debbie blessed me in this post. First she brought back to those awful memories of being picked last on teams during my school years. I really was the last to be chosen. I had no athletic ability at all; so I really identified with the feelings she provoked in her post. Debbie then turns things around and reminds us of all those Biblical people who God used who did not have everything going for them. and had their own physical or mental hangups. She created a whole list of people from Moses to Paul, and by the time I got through reading it; I was well, shouting Amen and feeling so much better about my days of rejection. 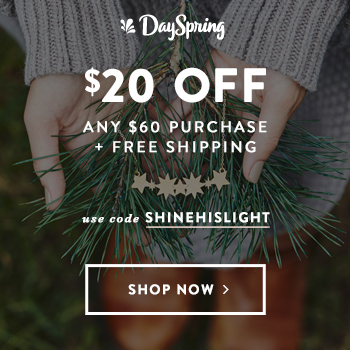 I really highly recommend reading this post if you missed it last week. I think it also ties into my own endeavors this month beautifully. 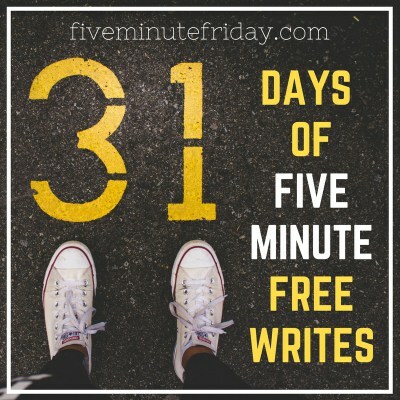 I still struggle with feelings of inadequacies about serving God with my writing, but Debbie’s post revved me up to meet the challenge ahead of Write 31 Days. I’m so sorry you’ve had a rough month, my friend. May God continue to heal your mother and may you feel his peace. We have something else in common. My mom had brain surgery too a few years back. It was a great success. Praise God. Praying your Mom is doing well and recovering nicely. 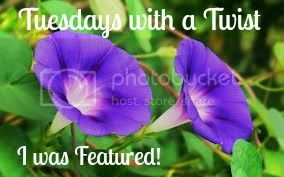 Thank you for sharing Grace & Truth Christian Link-Up. Thankyou Mary, I enjoyed your post & getting to know a little about your Mum. Debbie, your posts touch me to the core. This one was so timely. 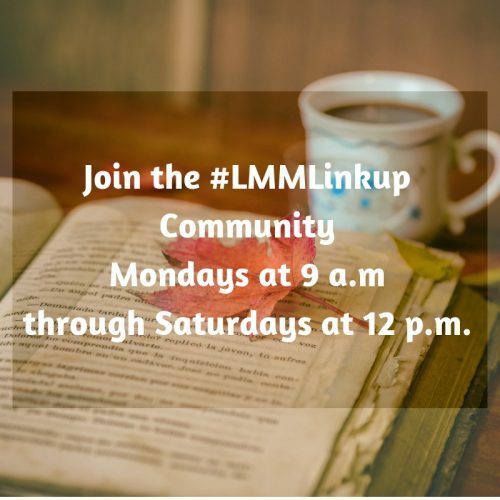 Thanks so much for being a supporter of the #LMMLinkup each week. Gayl, thank you so much for your wonderful encouragement. It blesses my socks off. Your mother sounds amazing like mine. 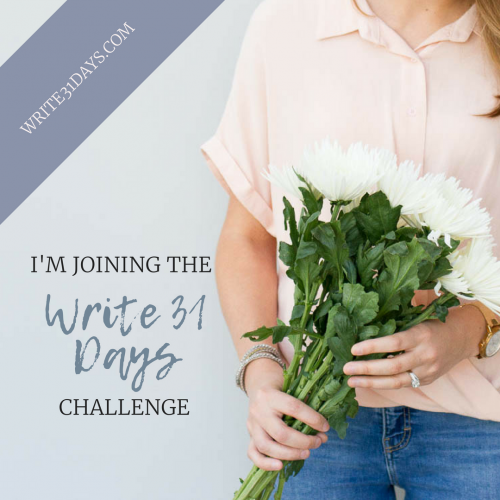 I am doing 31 Days as well, so it’s my link. Rebecca, I can’t wait to read your series. 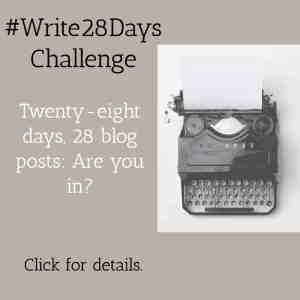 Thanks for linking up with me this week. What a blessing to have such a mom! And I know that she loves that you are following in her path. I need to come back later and look up the two posts you linked to – they look very beneficial! Have you ever tried the voice to text function on your computer? That might give you a little more time with your writing in spite of arthritis. Just a thought. Calleen, yes sometimes I do use this feature. Thanks for stopping by. 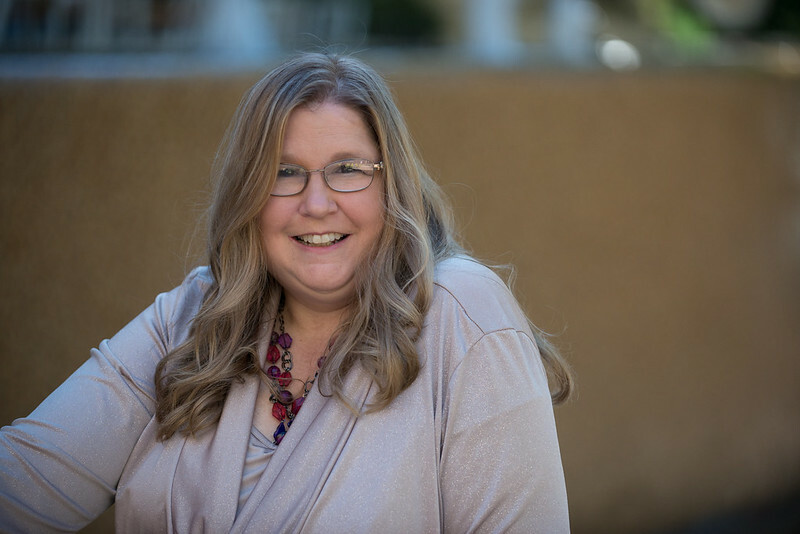 Thanks for sharing a bit about your life and story–including your mom’s current battle. I’ll be praying for her and for you as well. It’s got to be so hard to type if your hands have been disabled by arthritis. But yet you persevere, Mary! So I’m praying you don’t let these challenges get you down, my friend! 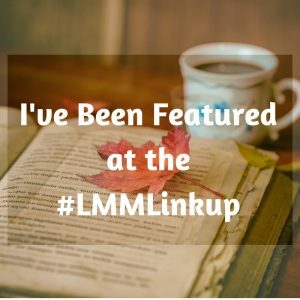 I was so busy enjoying your story and crafting my response in my head that I hardly noticed that mine was the top viewed post last week. How fun! I know many can relate to my struggles to fit more in the day. Thankfully, God has a way of reminding us that it’s not about doing more but being more for Him. Isn’t He a good God? And as for your story, Mary, I’m grateful to get a glimpse of all your hats you wore and the way God used the many threads to weave a beautiful masterpiece in you. I really appreciate your heart to encourage and give in spite of your limitations. Your mom truly was a great inspiration. May the Lord bless you, your mom and the rest of your family. Excited to see what God does through you during these 31 days! Praying He brings new life and hope for you with reminders of His love and grace every single day! Thanks, Mary, for diving into this project for October! And I love thinking about the way our stories have been shaped by God, using the key players He has planted in our lives.